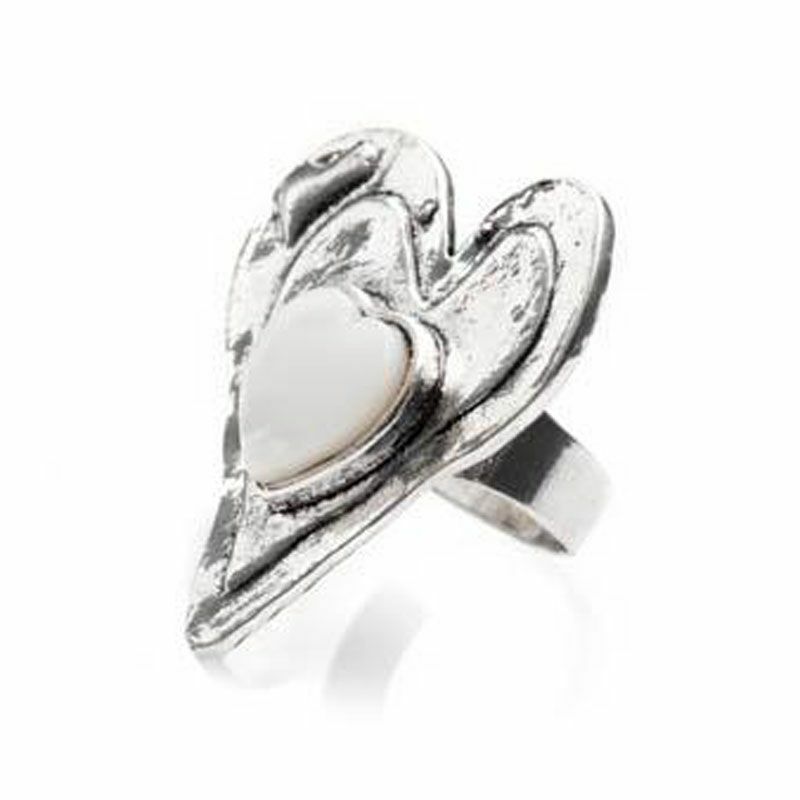 This Ring is Made with white metal and features a resin stone in the centre. It has an adjustable ring so one size fits all. All of our costume jewellery is free from Nickel and is hypoallergenic.